30 years of SMI experience and know-how relating to the advanced automation of machines and equipment, has enabled them to develop increasingly innovative and efficient hardware and software control solutions. 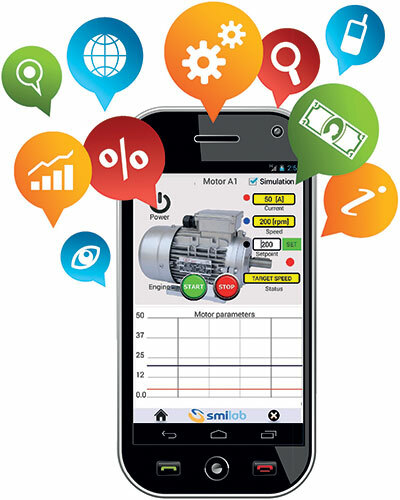 So much so, that all SMI products currently leave assembly departments equipped with IoT-embedded applications. 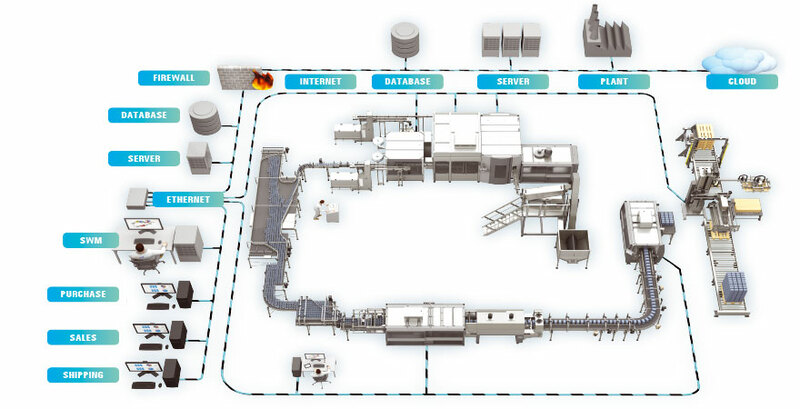 Machines equipped with IoT technology are "smart" digital devices that are able to: record, analyse, optimize, automatically change production and operating parameters, exchange data and information with other machines and systems on a bottling and packaging line, run self-diagnostic tests to detect and resolve faults or anomalies, alert an operator about the need for maintenance or repair, etc. 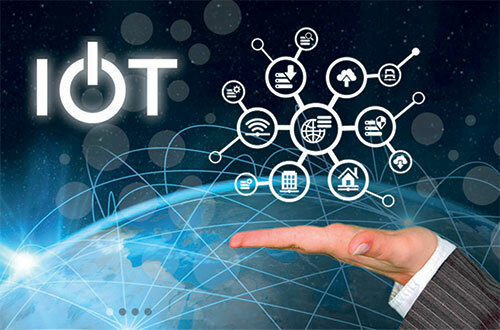 Technology for the "smart factory"
IoT technology allows the operating data, for all the equipment in a production facility, to be collected, and placed on a single management and control platform, thus providing a real-time continuous monitoring of industrial plant efficiency and the ability to intervene remotely at every decentralized system point, in the event of anomalies or problems. This makes it possible to get information in real time both from an aggregate point of view (production volume, mean production time, consumption, inventories and stocks) and from each single machine.